Shortly after accompanying Gadd and Livia to extract power from a bloodstone, I had another task in this area. Our friend Saerin, a member of the Shining Blade in Gadd’s Encampment asked me to retrieve a few more items tied to the nearby bloodstone. Each item was bound to powerful ettins located on each section of Bloodstone Caves. One is a shimmering essence to enchant the Shining Blade’s weapons, one is an arcane crystal shard that could turn their arrows into armor-piercing thunderbolts, and one is a spectral crystal from the most powerful ettin that can give them even more power over their White Mantle enemies. Malory K. joined me once again as we set off to explore more of the Depths of Tyria. The path to the Bloodstone Caves is full of monsters, but you can avoid most of them if you’re careful. 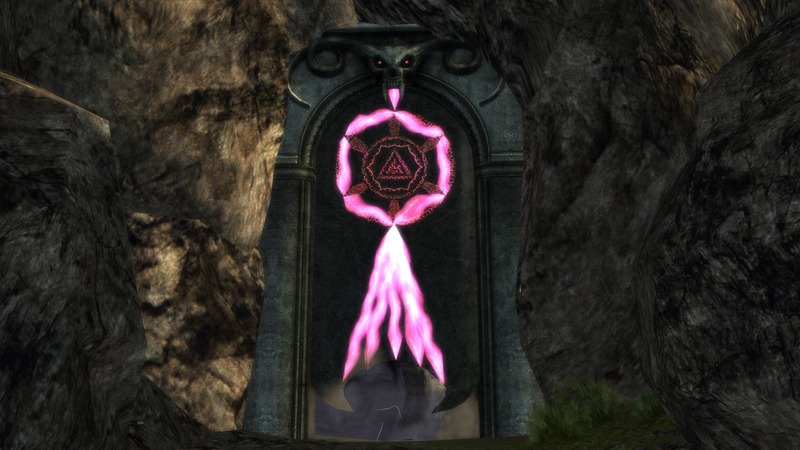 When we reached what appeared to be a blocked doorway, the engraved runes lit up and the door opened to reveal our path. 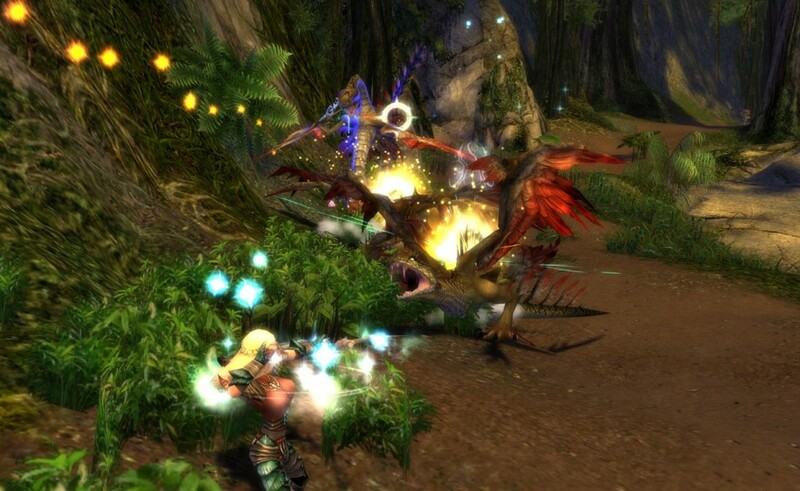 The Sparkfly Swamp is a unique location under asura control. It’s located on the south-west coast of the Southern Shiverpeaks, and the only way to get here is through an asura gate in the Shards of Orr caves. 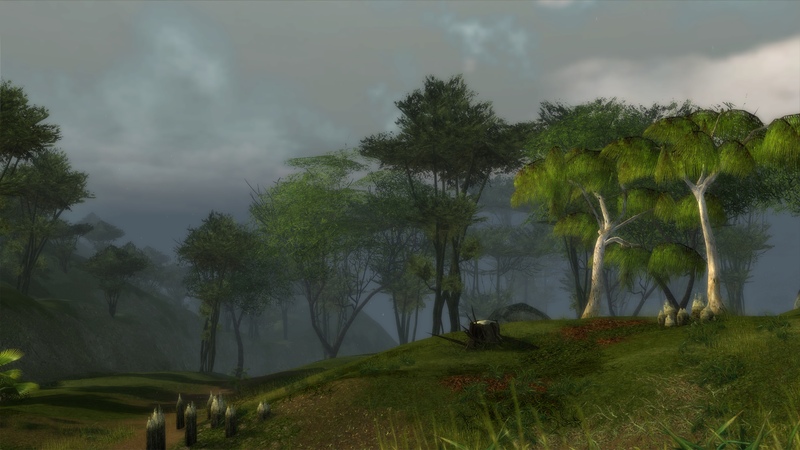 Much like the Verdant Cascades, there is little in the way of asuran development because of its distance from the Tarnished Coast. The one resting point here, Gadd’s Encampment, is a scarcely stocked outpost meant as a temporary camp for Gadd’s research on the nearby bloodstone (but more on that later). Given the uniqueness of this area, Elwin and I are sure to find plenty of surprises along the way. 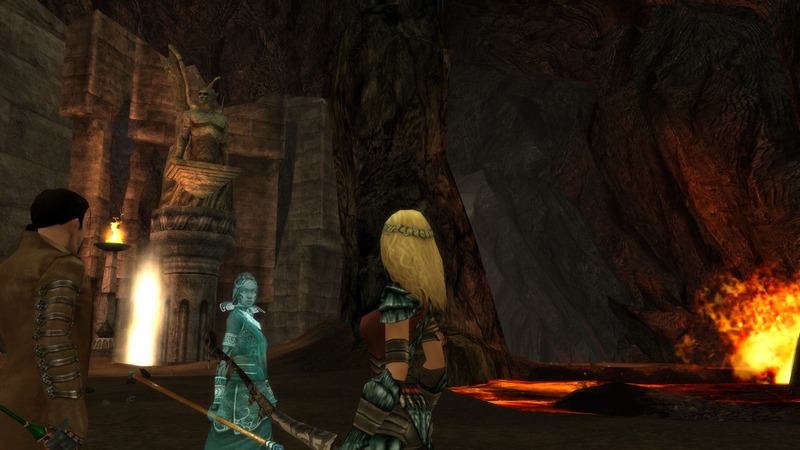 During my exploration of Arbor Bay, I noticed a restless spirit near an entrance to the Depths of Tyria. When I returned to that spot with my friend Malory, we learned of crewmember Shandra’s curse. She was a member of Lady Glaive’s crew on the Queen of Fools ship. When they sailed into Orrian waters, a mutiny took place. Our task was to free the crew members souls by killing their betrayer. Due to the size of Arbor Bay, Elwin and I didn’t waste any time in Vlox’s Falls outpost before starting today’s exploration. In our hurry, we ran into a group of krait at full speed. To make matters worse, it was led by an even greater krait skilled with healing magic. After much shouting and many agonizing shocks of lightning from the lesser krait, we managed to kill them. Then we took a moment to recover and look at our surroundings before dashing off again.